It appears my interest in going veg began pretty early. In fact, my mom tells me that I loved the fruit and veggie baby food, but she had a hard time getting me to eat any of the meat. So, really, when I cut all meat but seafood (a decent percentage of which is actually caught by my parents or husband) out of my diet, it was far from a surprise. I have a number of reasons for my choice to be pescatarian. First of all, I’m a huge animal lover. As in, borderline-crazy dog-lady. (Emphasis on borderline.) And it’s difficult for me to reconcile eating animals that have been kept in inhumane conditions (which, let’s be honest, is how the majority of the animals many of us eat are raised) with that passion. It just doesn’t feel right. Plus, I don’t actually like it—I liked how chicken was prepared more than the chicken itself. Chicken salad is one of the few things I truly miss—and I have to admit that I did enjoy a good, medium-rare prime rib once upon a time, but other than that, I never had a meat craving in my life. So, all it took was a slight kick in the pants to make the switch from not-a-lot-of-meat to meatless. The big decision actually came in the middle of a drumstick. My husband and I had gone to the supermarket and picked up a few pieces of fried chicken—like I said, I enjoyed some of the ways chicken was prepared. I’d eaten one piece and was on my second, and that’s when I saw it. A feather. A white, chicken-y feather. And when you see a feather sticking out of your fried chicken, two things go through your mind. One: Gross. And two: Holy crap, this was an actual chicken. There’s no disassociating the food from the animal at that point. It just so happened that, in flipping through the channels that night, I saw a special on factory farming and the way a major fried-chicken chain treated the chickens it served, and I was horrified. Between those two things, I decided that eating meat was no longer the right thing for me. So, why did I stick with seafood, you ask? Also a couple of reasons. First and foremost, my parents fish. A lot. My dad actually owned a store that sold fishing equipment and boats and motors, and every vacation we took involved fishing. Just like it didn’t feel right to continue eating chicken, it didn’t feel right to stop eating fish when it was such a big part of my life, especially when I knew that most of the fish I was eating was caught in a sustainable and ethical manner. When I order or purchase seafood, I make a real effort to find the more sustainable and ethical options (although I’m not about to say I’m perfect—I don’t consult my Monterey Bay Aquarium handbook before every purchase). The second reason is that, because I’m so active, I know I need plenty of protein. I know it’s entirely possible to get everything I need from plants, beans, nuts, eggs and dairy. But, throwing fish into the mix makes it easier. Now, with all these strong feelings, you might be wondering why I haven’t gone vegan. I have to admit I’ve given it some thought, but the thing is that being a pescatarian is pretty much effortless for me—it feels like I’m eating the way I should be eating. My husband, who is not a pescatarian, vegetarian or anything of the sort, has really adapted so that we now eat many of the same veg meals (sometimes with a quick addition of some chicken at the end for his dish), and some of those meals are actually vegan, but cutting out all animal products would make eating together really difficult, and shared meals is an important part of our relationship. I won’t sacrifice that. Since this is already pretty much a novel, let me briefly mention that I don’t know if I will always eat this way. I’m big on listening to my body, and, if someday my body starts screaming, “Yo, gimme a steak!” then that’s what I’ll do. After I stuff myself with other forms of protein to make sure it’s not just a random craving, that is. But mostly what I wanted to comment on was your craving for chicken salad, because Vegan Planet has a truly awesome recipe for Curried Chickenless Salad that always has co-workers and friends asking for my chicken salad recipe and surprised that it doesn’t actually contain chicken. If you don’t want the whole book, go to the library or bookstore and just write that one recipe down (though there are a lot of delicious recipes in it!). Thanks Kari! I’ll check that out! I started out as a vegetarian because I also am a huge lover of animals and was horrified to learn about the horrible and inhumane conditions factory animals are in before they are slaughtered. Unfortunately, I didn’t make for a good vegetarian and didn’t get enough protein in my body. Since I’m a pretty active person, it hindered my performance, and also just made me not as energetic overall and I felt crappy. I CRAVED protein! So I opted to start eating fish again and I haven’t felt better. I’m a much more active person, which ultimately leads to a more energetic person. I do feel bad about eating fish still, but I always buy wild and not farm-raised in the stores. I’ve been a vegetarian for almost 9 years, since my freshman year of high school, and it is one of the best decisions I’ve ever made. I honestly wish I could remember exactly what went through my mind when I made the choice, but I was only 14 years old. I do remember reading The Jungle by Upton Sinclair about meat factory conditions, and also eating a piece of chicken at a Japanese restaurant that was more grizzle than meat. I also think that, like you, I just never loved meat all that much. I have gone back to fish intermittently, but I can never quite get past the texture. I always tell people that if I wanted to eat meat, then I will, but I really can’t imagine ever wanting to again. I have been pescatarian for a little over a year now. I recently, however, started incorporating vegetarian fed chicken back into my diet. I would like to say that I initially cut out meat because of humane reasons, but that just wasn’t the case. I did it because it made my body feel better. I am still playing around with different things because I was FAILING big time in my protein needs. Mainly I went to the other extreme and overdid the carbs. Right now, I am bopping my way through a more paleo diet. I am not perfect in this and won’t be, but I am trying to find the best balance for my body and my workout needs. So, we will see what happens from here. I became vegetarian because CAFOs and all that’s involved in getting meat to the table in America is filthy and disgusting. It also doesn’t hurt that I’m not a huge fan of meat to begin with. If I know a product comes from a place who cares about how its animals are raised, I’m not opposed to killing and eating an animal in that situation. So there are a few farm to table restaurants in town where I would consider eating meat, but I’ve noticed I still tend to prefer vegetarian & vegan options when they are available. Finally! Someone who feels the same as myself. I feel eating like a pescetarian is effortless and I do not feel like i am sacrificing any thing. One thing he lovess is eating sushi and going out for sushi is so important to him so its one thing i was not ready to give up. We forsure have limited the amount of animal products in our house though and it feels great. He usually adds to his meals the same way your husband does. Thanks so much. your blog is amazing! I have gone through a transition with my eating. I am 43 years old and from high school until now I have gained and lost significant amounts of weight three times (significant being 50 + pounds). in 2008 I was back on the high end of weight (194 lbs) and I’d had enough. I was really good at losing weigh but maintenance eluded me. I had to do it different. I started eating for nutrition vs. eating to lose weight. I read nutrition books, The China Study, everything I could get my hands on. In 2009 I got down to 148 lbs. and am still there in 2011. I am still tweaking but I am a fish eating vegan with a touch of Greek Yogurt. I don’t think there is an official category for me. I listen to my body and journaled like crazy to find the right balance. Since then I have investigated more into the treatment of farm raised animals and well, let’s just say that has sealed the deal. Much like you I just grew up not really liking meat. It’s not because I feel sorry for the poor cow or chicken, it’s because I don’t like the way it makes me feel. Everytime I would eat meat I would feel tired, sluggish, I even would get stomach pains, and even get constipated or diarrhea. My body just naturally rejects meat. But to me this make sense, I am Native American and our traditional food for our tribe was salmon, different vegitation, nuts, fruits and berries. So to me it make perfect sense that my body refuse to let me eat meat; that isn’t what my ancestors ate. Thinking back far as I can, I can’t ever remember liking meat. I do eat fish and love sushi, but I have to tell you the thought of going vegan has crossed my mind. Interesting but I don’t get it. You ARE eating meat. This is fish. It was a live animal at one time and, although it maybe can’t express pain in the way the most humans can recognize, they still do feel pain. When you say you look for more fish raised or caught in a sustainable or ethical manner…this can also be said of animals farmed in the old fashioned manner..they are still out there, animals being raised on grass. So, while I get that you need more protein, you can’t really say you’re a vegetarian. And apparently, fish are not classified as living, feeling animals either. I did not care for meat once I was old enough to really understand that it meant eating animals. That was around kindergarten. I became a vegetarian at age 21 so almost 30 years ago. Don’t miss it. I will get rare cravings, usually tuna or roast beef. I figure I am probably not craving the meat itself but the feelings around it, such as roast beef being associated with Sunday dinner at my mother’s house. I am healthy and weigh the same as when I was a young adult. I started running four years ago, have finished marathons and sometimes place at shorter distances. Just recently started lifting weights. Protein, don’t even think about it unless I am training hard. Then I might have extra helpings of milk, Greek yogurt, eggs, or my favorite, peanut butter. Two of my three children went vegetarian as adults, one does not miss meat, the other does I think but it’s only been a few months so that could change over time. I make a lot of vegan meals and once the kids are out of the house will probably go that way completely. I’m a meat eater; I love steak, filet filet mignon, bacon, turkey and fish. I did try to go vegetarian, but I was bitchy all the time ! When I eat meat, not only do I enjoy the flavor, but I also feel good; kind of like how someone feels when they eat comfort food. 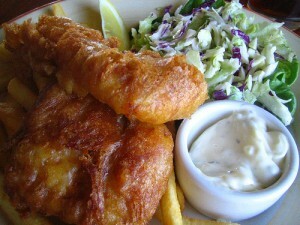 I eat all my meats grilled or baked; I do not enjoy the flavor of fried and/or battered/breaded meat. Girls who eat fish but no meat are simply afraid of meat because they bought into the nonsense that meat will make you fat. To be totally honest, as a man, and as a boy growing up, the single biggest deal breaker for me when it comes to females is if she’s a vegetarian. 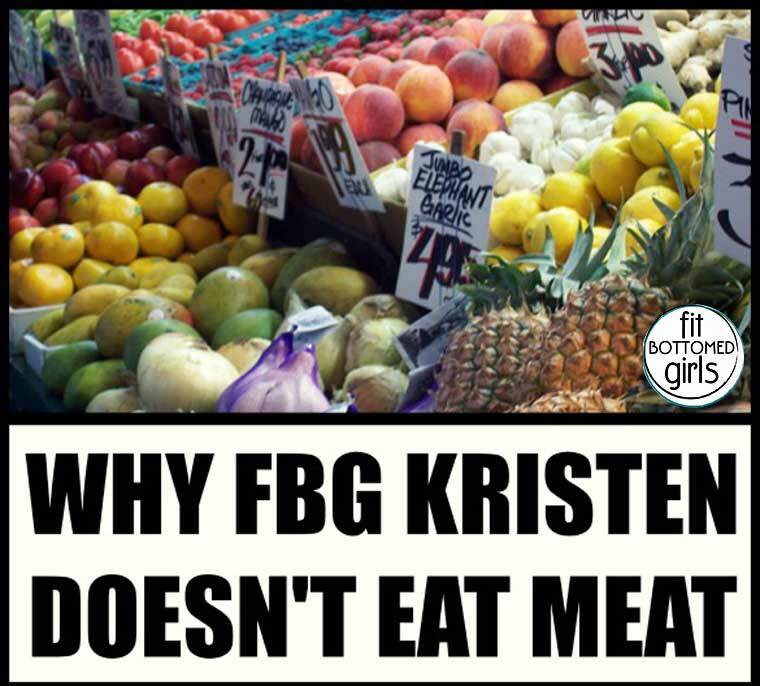 It’s become a trend for girls to be vegetarian. Us guys love meat. We talk about that awesome steak we grilled over the weekend. Girls seem to just hate meat. It’s like they feel inclined to hate it just by virtue of being female. Trust me, there is nothing more disappointing for a guy than when some pretty girl or woman proudly declares that she’s a vegetarian. I literally lose all interest and physical attraction to any female the moment she reveals this about herself. I am so thankful I have a wife who isn’t vegetarian. Maybe it’s because she’s Italian that she hasn’t got caught up in the “veggie” trend that American girls are so into. She also incredibly beautiful, and despite being 32 she looks like she is in her early 20’s. Girls who eat like human beings are becoming a rare treasure in this modern age of kale juice and “I’ll just have the salad”. What is it with females considering meat to be some kind of dietary (or even moral evil)? This vegetarian trend females have is getting old. Oh and fish is still meat FYI.